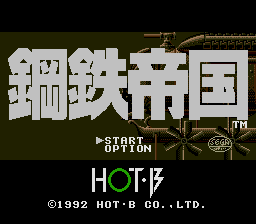 1 Start On The Second Stage At the title screen, hold the B button and press start. 2 Level Select Enter the OPTIONS screen. Now perform the Sound Test in the following order: Sound 1 Twice, Sound 9 Once, and Sound 2 Twice. Now a new selection will appear on the options menu called Round. Use this to select the round from which you would like to start. 3 Extra Lives On the Options screen, set Difficulty to HARD, Ships to 2, Continues to 1, and Sound to 65. When you begin the game, you'll have 99 ships! 4 Extra Bombs On the Ship Selection screen, press C, A, C, A, START, B. You will hear a chime, and when you START the game you'll have 99 bombs! 5 Extra Weapons On the Options screen, set Difficulty to HARD, Ships to 3, Continues to 2, and Sound to 77. While playing, you can press B on Controller Two for level 20 firepower! retrotech hardware to blow away. Imamio Thunder and Death by Steel. 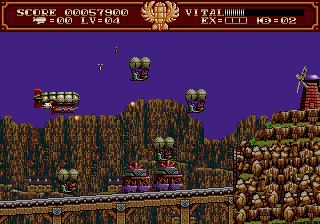 A rather dull sideways-scrolling shooter. 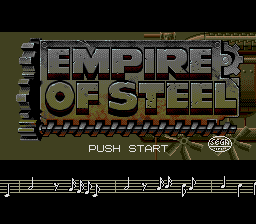 The graphics are unimpressive, and the levels don't show too much variation. 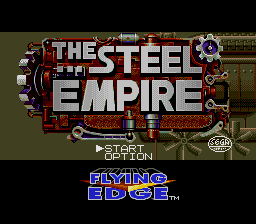 The Jules Verne-inspired level and character design is gorgeous, and the sound is better than average especially little details like the soft "crump" when the zeppelin's bombs hit, but the best thing about this game is the gameplay. 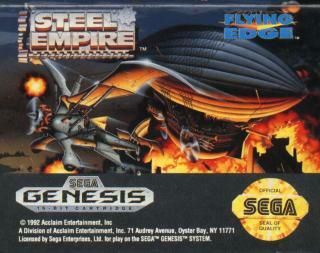 With huge (one of them stretches out over four screens) bosses that saturate the air with bullets, SE actually gives the hardy Genesis some slowdown due to the immense amount of gunfire and enemies that can be on the screen. Good clean fun.